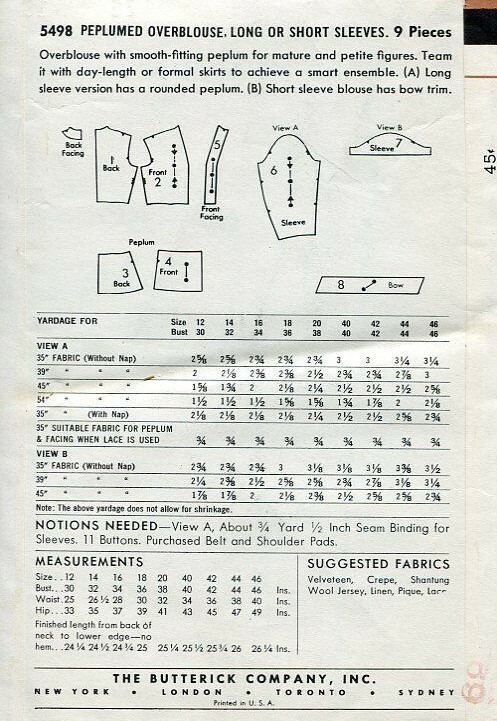 Butterick 5498; ca. 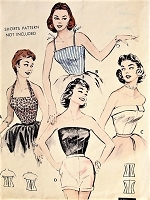 1950; Peplum Overblouse. Long or Short Sleeves. Overblouse with smooth-fitting peplum for mature and petite figures. Team it with day-length or formal skirts to achieve a smart ensemble. (A) Long sleeve version has a rounded peplum. (B) Short sleeve blouse has bow trim.